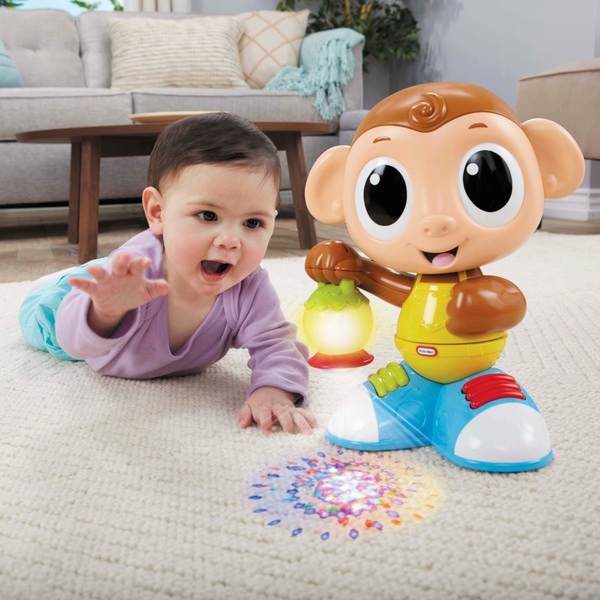 Little Tikes Light n Go Monkey provides your baby with two ways to move and groove. In chase mode, your baby gets inspired to crawl and chase the coloured lights projected from Monkey's lantern as he moves and twists. In dance mode, 50+ sounds, songs and tons of silly phrases get your baby groovin' to the Jungle Boogie! With Light n Go, Little Tikes lights the way to active play!